Remember how a week ago we looked at the row brewing between Apple and Google over Google Voice? Well, this time it's US phone carrier AT&T that's getting in on the action too. 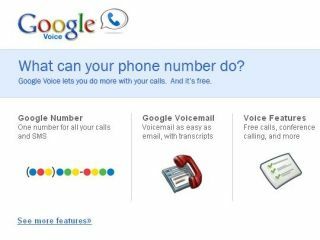 After a complaint from the carrier to the American Federal Communications Commission (FCC) claiming that Google Voice is blocking calls made to some premium-rate numbers, Google has responded with some force. The background to AT&T's complaint is that it is forced by US common carrier laws to connect certain high-cost calls from its long-distance lines to local networks owned by other operators. At&T says this means it has no choice but to participate in an unfair system where the local operators sometimes get to share part of those revenues with the owners of the premium-rate lines; often adult services. However, it says, Google Voice isn't bound by law to connect such calls and is simply blocking access to them instead. This, AT&T claims is unfair and it is asking the FCC to intervene. Google, as you might expect, disagrees. "Google Voice's goal is to provide consumers with free or low-cost access to as many advanced communications features as possible. In order to do this, Google Voice does [our emphasis] restrict certain outbound calls from our web platform to these high-priced destinations." "Unlike traditional carriers, Google Voice is a free, web-based software application, and so not subject to common carrier laws. Google Voice is not intended to be a replacement for traditional phone service - in fact, you need an existing land or wireless line in order to use it." Clearly, there's plenty more mileage in this argument, but why is it relevant to non-US readers? As Whitt says, "AT&T is trying to make this about Google's support for an open internet." In other words, a large traditional company wants the government of its country to interfere in how online software works and is used when it overlaps with its own services. Google's argument, therefore, can be applied to similar future debates in any part of the world – do we really want the authorities regulating the fast-moving world of web development just to keep big business happy?